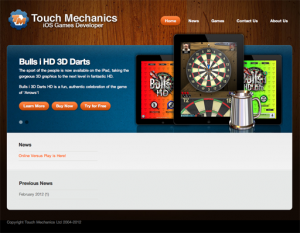 Touch Mechanics » New Website Goes Live! We are proud announce the launch of our new website! Here you can find news about all our games and new projects with screenshots and videos. The website is optimised for both desktop and mobile platforms – so it looks great however you look at it.